Born in London, with a multidisciplinary practice spanning across painting, drawing, photography and moving image, Paradine places an emphasis on emotion and the psyche. Challenging the traditional notions of space and time, the artist manifests figurative dream-like hybrids existing between a reality we know and understand, and somewhere completely unfamiliar. Morphing the Idol is a narrative examination of thought, dreaming and the in-between, presented through the guise of whimsical characters born straight from the depths of Paradine’s imagination. The recurrent figures in this exhibition of works oscillate between physical and ethereal states of being, at times blending with air and landscape. These curious characters portray a deep introspection into both light and dark inner states of the human consciousness. Educated at the Camberwell College of Arts in London, Paradine has exhibited extensively in Europe, this is his second solo exhibition since his return to Australia in 2012. He is a multidisciplinary artist employing drawing, painting, photography, filmmaking and video within his art practice. Anna Pappas Gallery is thrilled to announce From Line to Form, an exhibition showcasing the fascinating sculptural work of Melbourne based artist Alex Lyne. 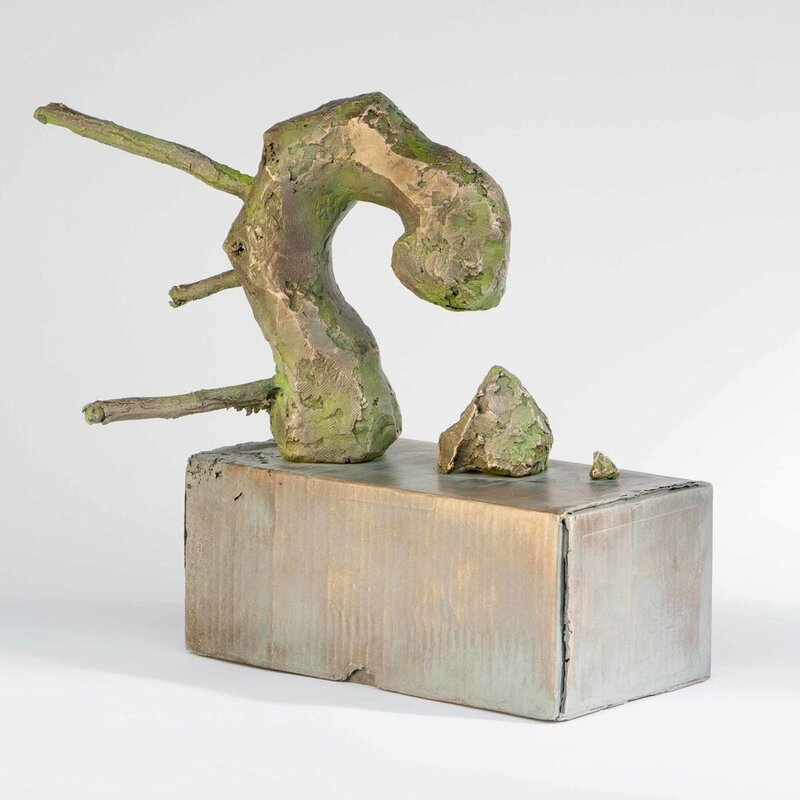 From seductively abstract bronze to intricately carved wood alongside contemporary support structures, the very tradition of sculpture finds a new voice in the experiments of Alex Lyne. Lyne’s practice exists comfortably in the collision between tradition and contemporaneity. His employment of timeless sculptural techniques is highly radicalised with contemporary injections of colour and remarkably detailed surface patterns. 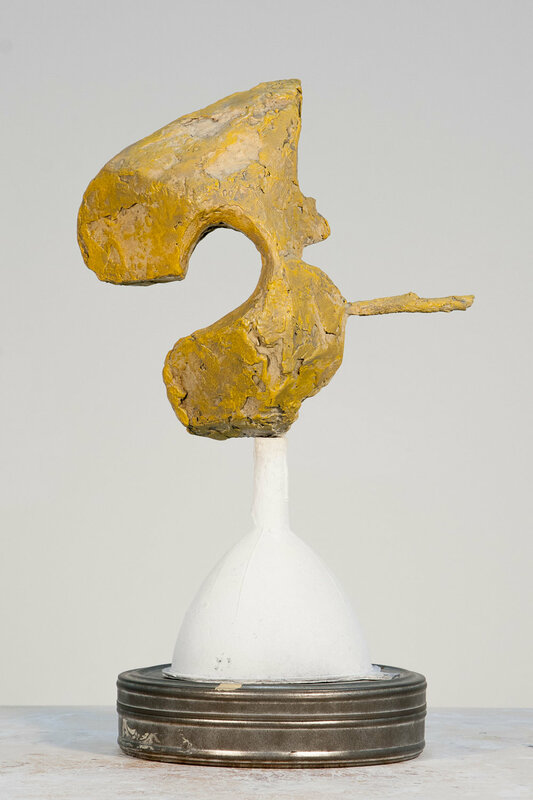 Lyne creates abstract and unknown forms out of bronze, wood, plaster and steel that are then treated with unconventional automotive paints and unusual plastic supports, reflecting the tradition of the ready-made. He engages in an extensive and highly physical process of casting, moulding and carving to transform his simple line drawings into exquisitely crafted three-dimensional forms. From Line to Form will exhibit his latest sculpture undertakings which have been manipulated to scale with the human form in mind. Lyne returns his experiments to the body, describing his process as one that begins “internally and travels outward.” He finds inspiration for his work in the act of meditative line drawing, beginning by sketching out multiple forms on to the paper surface. After intuitively deciding upon which forms to realise sculpturally, he works via a process of addition, transforming his materials to varied scales and with unique hand marked detailing. By working in this way, Lyne emphasises the ability of the artist and the human to carve into the physical world we inhabit and transform it by finding form in our true internal expression. 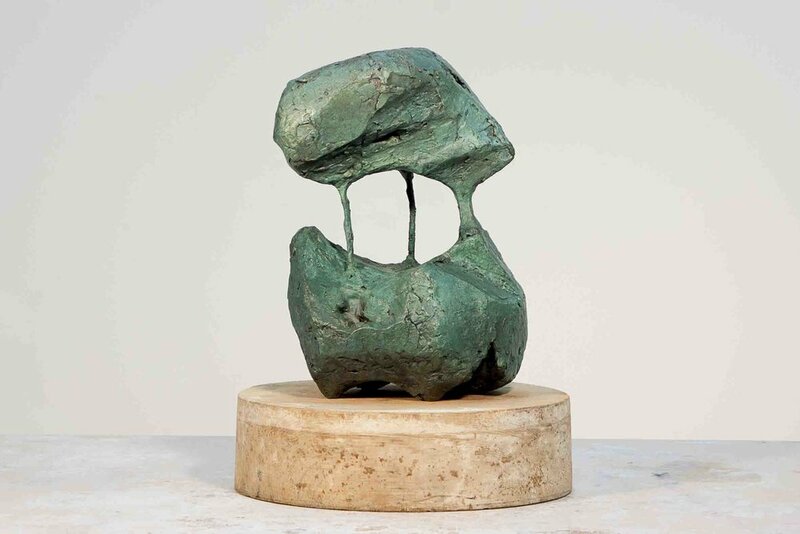 Alex Lyne is highly dedicated to the method of lost-wax bronze casting and has received extensive training in London with the Bronze Age Fine Art Foundry and in Melbourne with the Meridian Sculpture Foundry. Lyne further consolidated his sculptural practice by completing postgraduate studies in Art in the Public at RMIT in (2006). Lyne’s sculptures have been included in the Lorne Sculpture Biennale, the Yering Station Sculpture Exhibition and the well-known Sculpture by the Sea, Sydney. From Line to Form will be Lyne’s debut show with Anna Pappas Gallery. Wojcik apprehends contextual, historical and geographical concerns with an acute sensitivity. From a painterly perspective, Wojck’s unmistakable fractures of vibrant blues and contrasting purples break through the masterful realism of his canvases, emphasizing the flatness of the canvas at play with the depth of painterly representation. The collision of traditional painterly realism, evoking European Masters, colliding with Wojcik’s contemporary interventions is transformed through his attention to place. This exhibition sees Wocjik painting between places, with traditional European sensibilities applied to the Australian landscape, producing immersive canvases from an artist inhabiting a liminal location between two poles. deKonstruKt sees George Raftopoulos embrace rawness and immediacy as he strips back his painterly and sculptural compositions to illuminate the exploration of the self within the contemporary era. 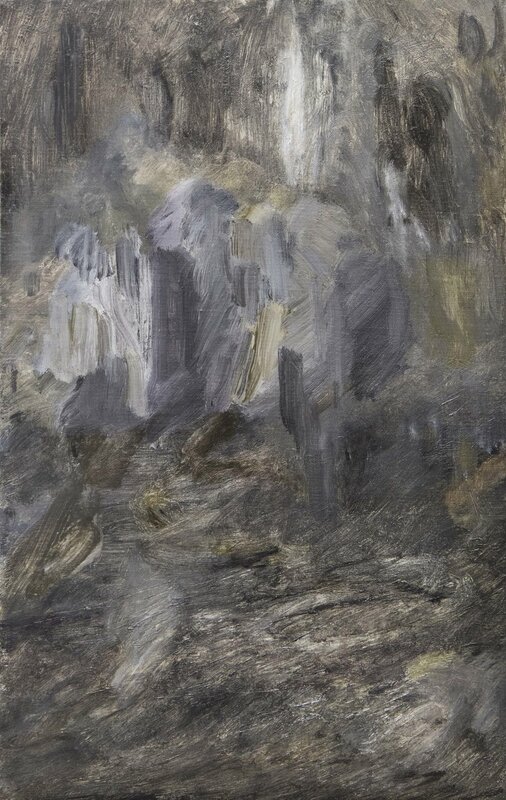 Through his gestural approach to oil painting and sensitivity toward the raw material of the canvas, Raftopoulos is engaged in an act of ‘dekonstruktion’, which is at once embodied and conceptual. 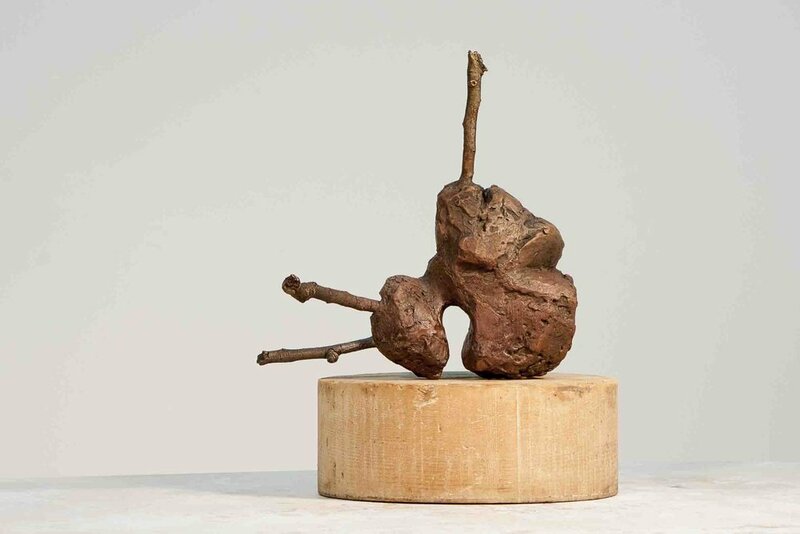 In his hands, paint becomes electric, and clay evokes the flesh of the body, with materiality and the surface figuring at the centre of his exploratory practice. Raftopoulos has held numerous exhibitions including, The TRANSPORTED, Nishi Gallery, Canberra, 2016; MYTHIC Nation, Artereal Gallery Sydney, 2015; Retrospecta, Greek Embassy, Canberra, 2015; I Could’ve been a Jockey, Bega Regional Gallery, Bega, 2014. Many significant collections hold works by Raftopoulos, including the Bega Valley Regional Gallery, Bega, Hellenic Museum, Melbourne, Gold Coast City Art Gallery/Museum, Gold Coast, University of Western Sydney, Sydney, Australia, and the Molongolo Group, Canberra. Announcing our participation in one of the oldest and most prestigious art fairs in Europe, Art Athina, in 2017, presenting works by Jayne Dyer, Michaela Gleave, Troy Innocent, George Raftopoulos, Karyn Taylor and Justin Williams. Coinciding with the presence of documenta14 in Athens, Art Athina provides a unique opportunity for the exhibition of our artists on a global stage. In Eden’s Hollow Dominic Kavanagh presents a site through which our contemporary relationship to urban decay can be explored. Using discarded industrial materials, alongside earth, weeds, water and light, Kavanagh constructs monuments to decay and regeneration within the gallery walls. A focus on the architectural power of ruins informs Kavanagh’s engagement with the language of decomposition. With light mysteriously emanating from deep within Kavanagh’s installation of brick, steel, earth and rubble, and with water flowing from various crevices, Eden’s Hollow rejects passivity, and instead presents a growing, living, fluid testament to the ruins that emerge from sites of industrial abandonment. Solo exhibitions include The Beehive, Blindside Gallery, Melbourne, 2014; Relics of Utopia, Seventh Gallery, Fitzroy, 2013; Picnic at Phoenix Falls, Incinerator Art Gallery, Moonee Ponds, 2013, Requiem for Urban Ruin: The Lock-Up, The Lock-Up Cultural Centre, Newcastle, 2013; and Substituting Nature, C3 Contemporary Art Space, Abbotsford, 2012. In 2016 Kavanagh was curated into the group exhibition This Place. That Place. No Place by Irina Asriian/In Exile Projects, an exhibition at Neon Parlour, as well as Under Construction, at Bundoora Homestead Art Centre, curated by Claire Watson, and Closing Exhibition, curated by Marie Schoenmaker, at Conduit Arts, Fitzroy. Other group exhibitions include Seven Trumpets, Strange Neighbour, Fitzroy, 2014; The Gleaner’s Archive, D11, Docklands, 2014; and Noise Flash, curated by Todd Anderson-Kunert for the 2013 Liquid Architecture Festival, Melbourne. Kavanagh has been shortlisted for numerous awards, and is represented in private collections. In Pattern Recognition, Troy Innocent interrogates the hidden potential of geometric abstraction, through the visual language of code. For this exhibition, Innocent places agency in the hands of the viewer, challenging the static nature of sculptural forms. Through the use of an augmented reality application, the viewer reveals layers of animation, information and music, coded within the geometric language of Innocent’s works. From digital maps for wayfinding, to visualisations of climate change, or the predication of election results, pattern recognition is central to this worldview, as it is coded into the abstractions through which we understand the contemporary world. In this exhibition, Innocent applies strategies of pattern recognition to psychogeographic abstractions – spatial maps of cities he has walked, folded in time and space. In the 1990s, Innocent represented the vanguard of Australian new media arts as the co-founder of the digital arts collective Cyber Dada. With Cyber Dada, Innocent heralded the cyber world as an ‘enveloping phenomenon, a techno-determinist vision of change’ and presented pioneering collaborative and collective digital works, including the language-oriented, interactive CD-ROM artwork Idea-ON! (1992). Recent solo exhibitions see Innocent combine digital innovation, specifically coding, with sculptural forms and geometric abstraction. These exhibitions include Double Abstraction (2016), Five Walls Projects, Melbourne and New Abstraction (2015), Anna Pappas Gallery, Melbourne. For Asemic Writing 1 (2013), Hugo Michell Gallery, Innocent mediated the visual language of graffiti through screen-based digital works. Nine Signs for Ogaki (2012) Hugo Michell Gallery, stemmed from Innocent’s 2010 residency at IAMAS – an Art & Science research institute in Ogaki, Japan – where the artist surveyed the landscape around him, creating visual codes and dispersing them throughout the town. Innocent’s work in Japan informed the exhibition Tokyo Pop // Ludean Play, at Trocadero Art Space, Melbourne (2011), which documented the artist’s engagements with play and mapping across Tokyo. Other solo exhibitions exploring language, cityscapes and digital media include Scenes from Ludea, Boutwell Draper Gallery, Sydney (2006) and Ludea, Tolarno Galleries, Melbourne (2005). Digital engagements with urban cityscapes inform Innocent’s strong public art presence, and includes works such as Zydnei (2013), an interactive street game exploring the lasting effects of colonisation, a work coinciding with the 2013 International Symposium on Electronic Art (ISEA), Sydney. Innocent presented an interactive sculpture garden entitled Colony (2008) in the Melbourne Docklands, and an alternate reality game reinventing the history of Melbourne, Urban Codemakers (2010), Docklands, as well as x-milieu, Federation Square Melbourne (2008) and Field of Play, Melbourne Docklands (2007). Group exhibitions have taken place at the National Gallery of Victoria, Melbourne; National Portrait Gallery, Canberra; Museum of Contemporary Art, Sydney; Museum of Contemporary Art, Helsinki, Finland; Tate Gallery, Liverpool, UK; Performance Space, Sydney and the State Library of Victoria, Melbourne. Innocent is represented in numerous collections, including the V&A Museum, London, ACMI, Artbank, the Lyon Collection, and other private collections. Innocent holds a PhD in Animation and Interactive Media from RMIT University, Melbourne.